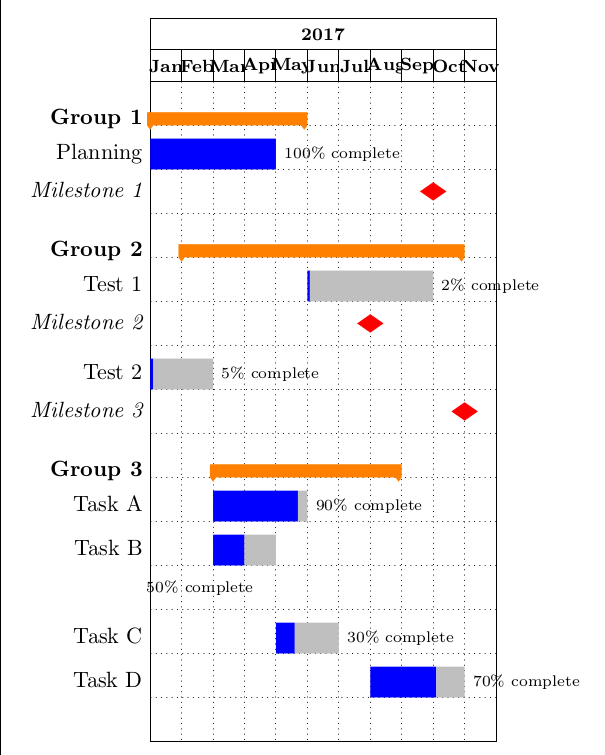 I have created the following Gantt chart using pgfgantt package. Change the x unit which by default is 0.5 cm. See page 7 in pgfgantt documentation. Not the answer you're looking for? Browse other questions tagged tikz-pgf floats pgfgantt or ask your own question. Gantt chart using pgfgantt with years divided into quarters? 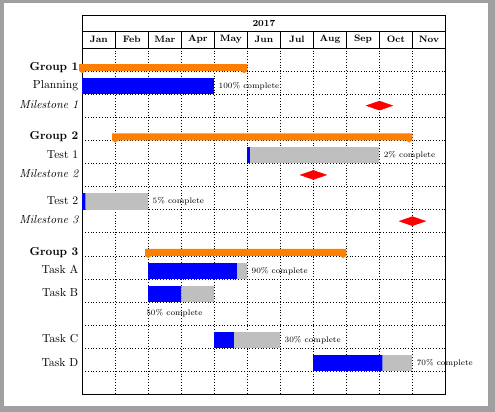 How to globally define different task bar colors in a gantt chart?